HeartStart Aultbea – The school is grateful to this organisation for its support in providing training to pupils in basic life-saving skills. S1 were given a three-hour session and S2, having done the full session last year, were given a two-hour refresher course. This supports the defibrillator that HeartStart provided to the school last year and, being located in the Leisure Centre, is available for public use. We are grateful to Bobby Mitchell for organising the event and to trainers Phil MacLachlin and Hazel Lynch. S1 Anti-Bullying Day – On Thursday 1st May all of S1 took part in an Anti-Bullying Day. The purpose of the day was to make each pupil aware of their rights and responsibilities, their potential role in different bullying scenarios and ways to handle these situations. The day involved watching short video clips, discussing different forms of bullying and what would be a good way of handling these and making posters and bunting. Well done to Hannah Warren, Kai Pickering and Emily Morrison who made the best poster and to Morven MacLean for the best bunting, as voted by the rest of the year group. Mentoring younger pupils – Pupils about to enter S6 after the summer will have the opportunity to become Prefects and Mentors. This supports younger pupils and staff across the school. This extra responsibility helps us develop senior pupils’ sense of citizenship and prepares them for adult life beyond school. As part of this process S5 pupils are reminded that they should have Mentor Applications handed in to school, in writing, by the end of May. S3 Bronze DofE Expedition Training Day – Here is a quick summing up of the training day in Flowerdale according to some of the pupils involved: “On Wednesday we hiked up past the waterfall in Flowerdale to a ruin where we set up tents and practised using our stoves. We had lots of fun and it was a great experience and we even beat the teachers back to the bus!” The pupils involved will be putting the skills learned at Flowerdale into practice on Monday, 26th of May when they head to the Cairngorms for their first expedition. 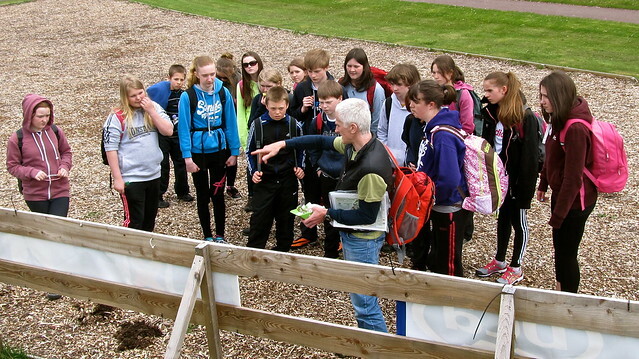 S2 History trip to the Iron Works at Poolewe – On Tuesday morning 6th May class 2A set off to Poolewe on a History trip. Their aim: to try to locate the remains of the iron ore works, which were once such an important feature of Poolewe. The idea arose out of the Comenius Project – ‘The Four Elements’. It proved fascinating for the pupils to discover that the two elements of water and fire were so clearly in evidence here just on their doorstep and they enjoyed their Internet research and working on their PowerPoint presentations. They will now be able to finish these with the help of their maps, diagrams and photos with a view to showing them off when our Comenius partners come to Scotland next year. The weather conditions were ideal: no rain, some sun and a pleasant breeze – what a great way to spend an hour! Accompanying the pupils were Mrs Fraser, Ms Dean and Mrs Somers. Slattadale – For a long time now we have not been in a position to make full use of the building at Slattadale, but now we have longer blocks of teaching time on our timetable with some classes, so we have a much better opportunity to take pupils in the minibus and travel the 8 miles to this wonderful facility and location. No matter what the subject, we believe the potential for Slattadale to assist with outdoor learning is unique and we hope you agree. The existing lease came to an end on 31st January this year. GHS decided to renew the lease, but there is a one-off legal cost of over £1000 for this privilege! Take a trip down memory lane by clicking on the images! The adjacent building (with dilapidated roof) was earmarked for demolition due to its dangerous condition, but we have managed to persuade Forestry Commission not to do this, but rather to give us 2 years to complete all the work. The extension is roughly 18 metres by 6 metres and will make a fantastic working area, for all sorts of events, but it needs a new roof. To re-roof the “extension”, to a specification to be approved by Forestry Commission, we need to use a competent contractor and they need to take full responsibility for effective health and safety management. A reputable, local building contractor has given us a quote of £8000 to put up a pitched roof, in line with the main building, and all associated costs with raising the gable end and gutters etc. Our Associated Primary Schools and other community groups could also use the building by arrangement. There are two classrooms, a small kitchen and two toilets. There is currently no running water, but it should be possible to connect a supply. So our plea is to that you look at our Facebook page entitled Slattadale, LIKE it, and perhaps make a donation when we get an account setup! The pupils are currently undertaking the 5×50 challenge and the intention is that money raised will go towards Slattadale. The next event to raise funds for this project will be a sponsored walk on June 12th following the Tollaidh path starting at the Poolewe end. Our pupils and staff will finish at Slattadale and then see what needs to be done to bring this resource up to scratch. Feel free to join us. More details nearer the time. 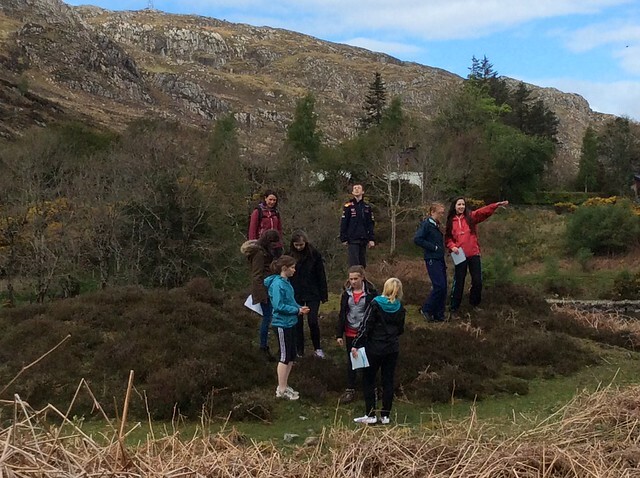 S1 Cairngorms Week & Comenius in Greece – By the time you read this S1 will have been away for their residential week in the Cairngorms. We also have three S2 girls visiting Greece. Check out the website for photos of their activities and read about the trips in the next issue. Click on the photo above to view photos from S1 Cairngorm Week 2014 – just been posted with more to come! Higher Physics trip to meet NOBEL Prize Winner – On Tuesday 22nd April a group of students from Higher Physics accompanied Mrs MacRae on an amazing visit to Plockton High school in order to attend a lecture given by Professor Peter Higgs and fellow particle physicists regarding the discovery of the Higgs Boson particle. Comenius Trip to Poland – During the week beginning 24th March, pupils and staff travelled to Poland, as part of the Comenius Project based on “The 4 Natural Elements and the Effect on our Lives”. Staff travelling were Ms. Hunter and Mrs. Somers. Pupils were Nessie Gearing, Kalvin Fraser, Freya Baptist and Ciaran Alexander. They travelled to the town of Mszana, about 25 miles from Krakow, and pupils stayed with fantastic, welcoming host families. The whole week was a great success, and apart from attending some lessons in school, pupils enjoyed a trip (800 steps down!) into the amazing Salt Mine, as well as a relaxing swim in a Geo-thermal pool, a ski lift up the mountain and a balloon ride in Krakow. No-one can accuse the Comenius trips of being boring! Of historical interest was also a visit to the Jewish quarter in Krakow, much of which is still under renovation from its devastation during World War II. Staff and pupils plan on sharing their experiences at a special Comenius Evening on Tuesday June 17th, 7.30 p.m. where they will present photos, films, and displays of artefacts, as well as providing suitable refreshments. During this evening, we will combine displays and presentations from Poland, as well as Portugal; this trip took place in January. Pupils and staff are soon to visit Greece (week beginning 12th May). Future visits are Turkey (September), Finland (December) and Spain (February 2015). When all our partners visit us next April, we will have something to live up to, as all our visits so far have been packed with wonderful experiences. 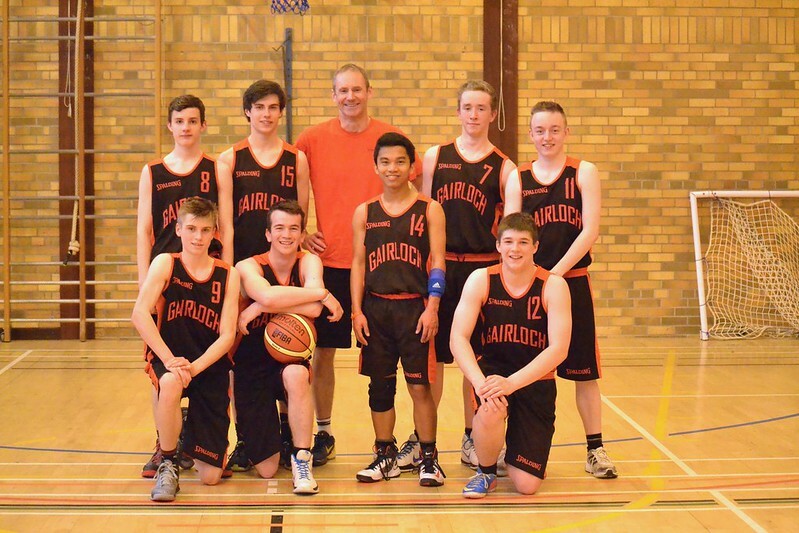 Basketball result – The senior boys played their last game of the season against Invergordon Academy on Tuesday 22nd April. Invergordon are a good team, have been working hard in training and came to us fired up from a win against Alness Academy. We expected a tough game and got it; there were no more than four points separating the two teams throughout the first half. We knew that Invergordon were good at the fast break so we smothered their big rebounder and guards. Strong, organised defence and continuous pressure in offence saw the game turn in our favour and we came away 53- 32 winners at the buzzer. This was Ross Wotherspoon’s last game for us. He has been a stalwart in the school team since we started the basketball project three years ago. We will miss his physical presence in the key and 100% effort in every game. Keep playing, Ross! This has been another successful season; we are by far the smallest school taking part in Highland competitions but have came away with five wins out of eight games. Things are looking really good for the future. Y Dance Leadership Course – Sohpie Davies, Annie Maclennan, Leonie Baptist and Hannah Wood were selected to attend a Y Dance week. Hannah and Leonie reported the following: We had an amazing time at the Y Dance course. We spent 5 days learning how to be a dance leader. We learned many different styles of dance over the first few days including African, Jump Style and Musical Theatre – we even made up our own dance! On the last few days we had our assessments. First we had to pretend to teach a younger ones class. Then we had to teach older ones – that was a bit harder! We all passed our assessments and we had a party to celebrate! We will be able to use our new qualification to teach others dancing. Hopefully it will become useful in the future. Skiff Colour Scheme Winners – In case you missed it in last edition S2 pupils Christopher Adam, Iain Nelson, Carla Watson and Sorley Street won the competition in school to choose colours for the Gairloch skiff. They will each be given a year’s free membership to Rowing Club. The Team coincidently picked colours tying in with school colours – white with green and blue trim with orange lettering for the name of the skiff. Well done to all of S2 for taking this competition very seriously! S2 are now working on designs for new ‘C for Craic’ CD cover. Pupil Success – Lexanne Stewart (S1) wrote a short story and entered the Achnasheen and Garve News & Views Writing Competition. Lexanne won the section aimed at secondary aged young people. Well done to Lexanne and we hope to publish her story on the school website shortly. Sean Quinn, S2, has been selected at audition to take part in an Eden Court production of Lord of the Flies performed as a musical. More info on this nearer the time. Sean is currently in rehearsal for performances at the end of May. Well done! Carla MacLean (S5) was nominated to represent the school as a Commonwealth batonbearer. Carla will take part in the Queen’s Baton Relay as part of the build up to the Glasgow 2014 Commonwealth Games. More information on this once we know exactly when and where Carla will be taking part. S4, S5 & S6 pupils are now sitting their SQA exams. We wish them all the best of luck in the national exams.